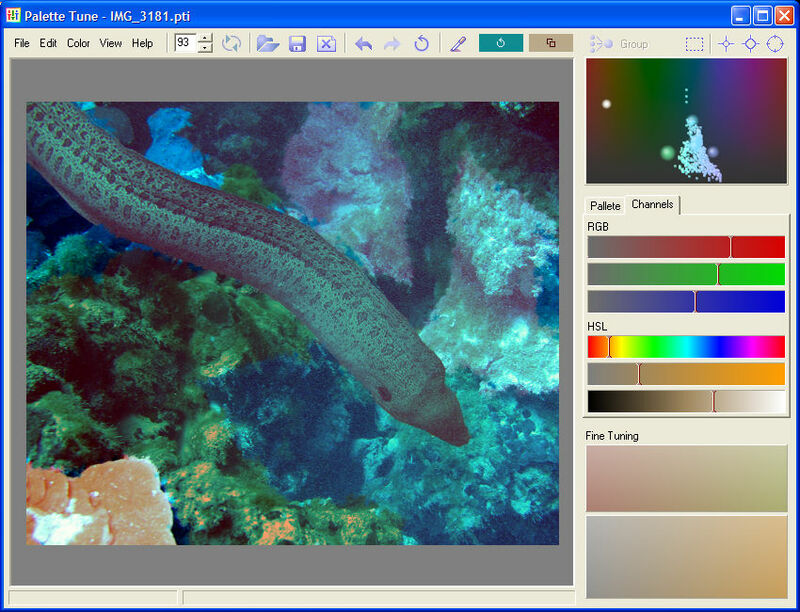 Palette Tune - solution for separate color correction of selected image fragments. It is a tool for colorizing black and white photos and fine-tune the palette of color images. Loading the image it is divided into segments. The color of each segment can be changed. Click on the segment and you can change its color. But if the object, which color should be changed, is divided into many segments, they can be easily grouped. Palette Tune - a unique tool for color design, color matching, color harmony search. You can choose the colors of clothes, hair, tune the color shades for the interior of your housing, accurately adjust the color scheme of your website. You can change colors and immediately see their compatibility on the image. The color design of this site is also created by the Palette Tune. Make color correction on the spectral mapping. Use the tool to fine tune the color. Make your photos truly magical. If you can help us to provide support in your native language, please drop us a line, and you'll get a free registration! Just please contact us prior to starting the translation, and you'll receive instructions how to do this.